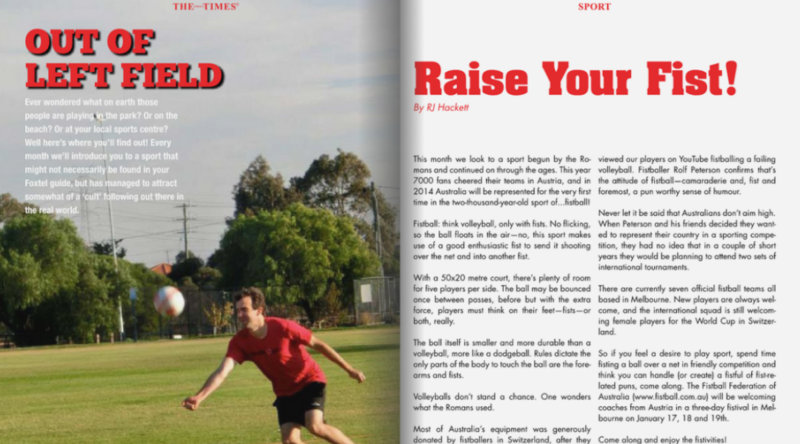 The latest edition of Australia Times online sports magazine is out featuring an article on Australian fistball! Due to some other piddly sporting event being held presently, we did get bumped from the front cover. Nevertheless, a big thanks to Rebecca Hackett from the Times for helping to support fistball here in Oz! 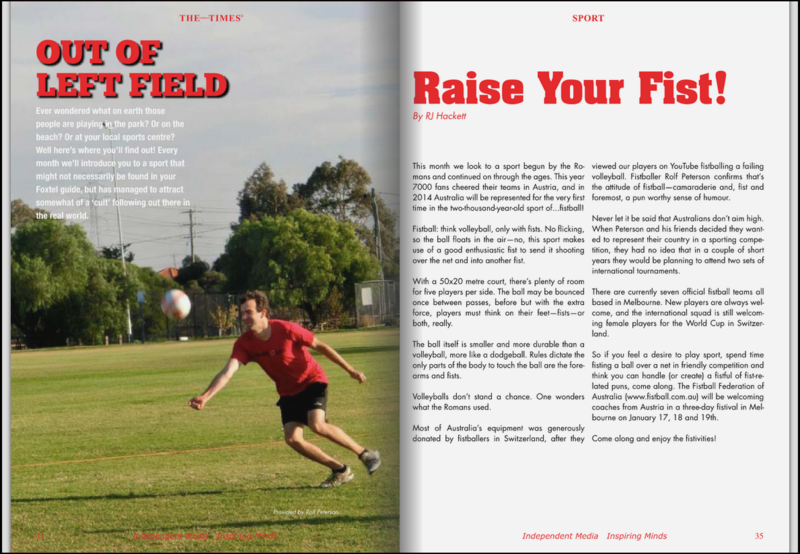 Link for the full online edition here, or screenshot of just the fistball article below. « Inaugural FiFA coaching weekend! » Fistivus V – Lions are champions again!